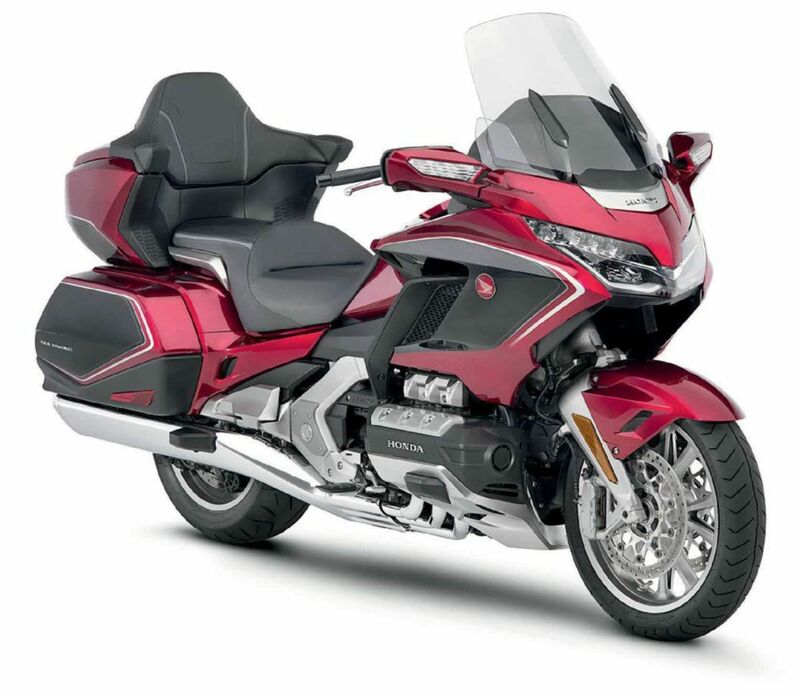 The 2018 Honda Gold Wing is a bike built for a life on the road. RIDERS OF THE OPEN ROAD ARE UNIQUE, AND SO ARE THE BIG machines they use to undertake that journey. The Gold Wing, Honda’s legendary touring motorcycle, has been a staple of the community for decades, and its 2018 edition has evolved to become the one to beat. Not only is it more compact than its predecessor, it is also lighter at around 360 kg, and more comfortable. But let’s start at the heart of it: The Gold Wing debuts the spanking new 1,833-cc liquid-cooled, six-cylinder engine, with a crankshaft made of special SCM440H alloy and Unicam valves. Both these help make the drivetrain lighter, quieter and sleeker for a total width of around 36 inches—while the shorter engine allows the seat to be moved forward in chassis for better ergonomics. To complement these modifications and to jack up the sporty stance, the bike features improved aerodynamic efficiency with its side-mount radiator and redesigned air-guiding ducts. If you look at the profile from a distance, the Gold Wing looks imposing but not overbearing, a problem that many tourers tend to suffer from.